Norse cosmos had Nine Worlds which well positioned on the branches of Yggdrasil the Great Tree of Life. Nine Worlds were nine kingdoms for many living creatures to dwell in. Among them was the land of human – Midgard. This Norse Midgard was the only world that human eyes could see. Midgard had the Old Norse name as Miðgarðr, meaning the Middle Enclosure or the Middle Yard. The humanity inhabited Midgard. The only way that could travel from Midgard to Asgard was through the rainbow bridge Bifrost which was not visible to the human eyes. There were not many stories revolving around this Norse Midgard land though. The land of Midgard was surrounded by the impassable ocean. Deep down the ocean was the Jormungand the Midgard Serpent whom Odin cast into the deep water. Jormungand was so enormous that he could enclose the whole Midgard by biting his own tail in his mouth. Since the Creation of Norse World, Midgard was fashioned by Odin and his brothers with the body of the first giant Ymir. The blood of Ymir was for the ocean, teeth for the cliff, bones for the mountains, hair for the trees, skull for the sky, and brain for the clouds. Though we can figure out what Norse Midgard was like. However, there were not many tales in the myth that featured this land. During the event of Ragnarok Twilight of Norse gods, Midgard suffered from many troubles. Before Ragnarok, there were three consecutive winters coming without no summer in break. The brothers in Midgard fought each other and there were only bloody wars. As the Ragnarok had come to pass, there was only darkness that fell on the land of Norse Midgard. There were two ways of interpreting the word “Midgard”. The first meaning of Midgard referred to the enclosure by the ocean and Jormungand the Midgard Serpent. The serpent surrounded the whole Midgard with his tail in his mouth. The enormous ocean along with Jormungand the Midgard Serpent enclosed the whole Midgard. We can say this part of the word “Midgard” meaning horizontal. Meanwhile, the vertical meaning of it referred to the position of Midgard which lay in the middle of Asgard and Hel the Underworld. 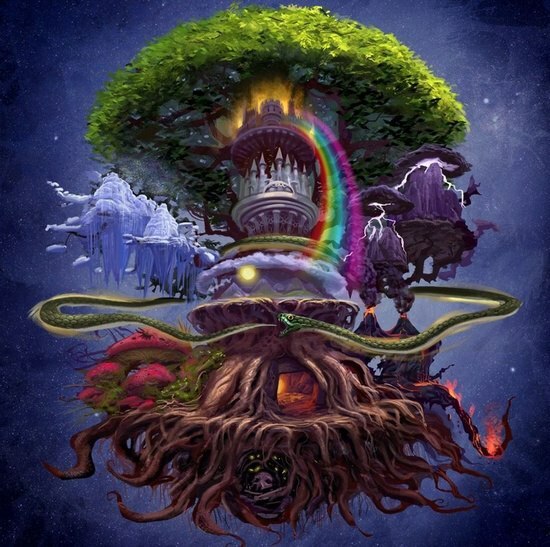 So we have the vertical axis as the Yggdrasil Tree which held Asgard up in its top branches, Midgard in the trunk, and Hel in the roots. The other way to decipher the name of Midgard associated with the concept of innangard and utangard. Asgard was the golden example for innangard, the law-abiding, orderly, and peaceful place. In the meantime, Jotunheim, the land of giants (gods’ enemies) epitomized the land of utangard which was chaotic. The -gard element of Midgard may help us understand that Midgard had things more related to Asgard than Jotunheim. The Norsemen wished to build their world akin to the perfect world Asgard where the Norse pantheon lived.